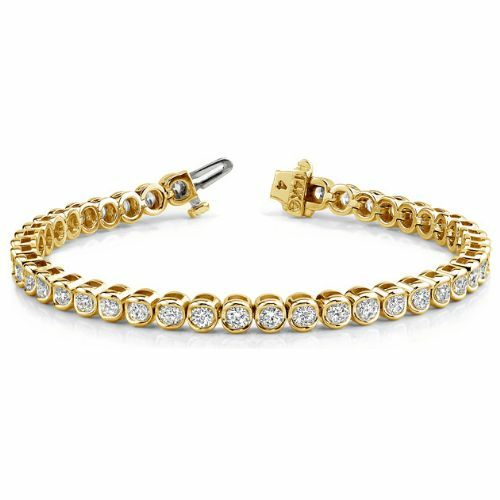 14K Yellow Diamond Round Channel Set Tennis Bracelet 3.87ctw. Our intricate 14K Yellow Gold classical Channel Set Diamond Tennis Bracelet contains Round Brilliant Diamonds that range from 43-61 exquisite diamonds. 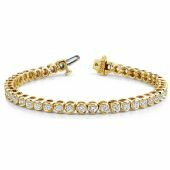 We here give you the ability in designing one of your own tennis bracelet’s in your own Length, Gold Color, Diamond Quality, and Composition.